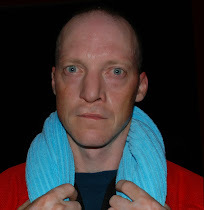 Aging recreational hockey player borrows training methods from the pros (big leaguers) in an attempt to transform himself into a beer league dynamo. There’s a certain satisfaction that comes from nailing a target consistently when firing shots out of your garage late at night. I know this first hand because every night for the past two weeks I’ve been setting up for some good old, down home shootin’ practice, firing with determination and glee at a target set up in my driveway. Now before you imagine some sort of hillbilly scene featuring spent shotgun shells scattered about or Winchester hollow points whistling through the night, let me remind you that this here is a hockey blog. Ergo, I’m talking about shooting hockey pucks here, plain old six-ounce hunks of vulcanized rubber ... 200 of ‘em. I’d meant to start practicing my shooting much earlier in the off-season but it took me a while to assemble the equipment I needed to create a workable setup. 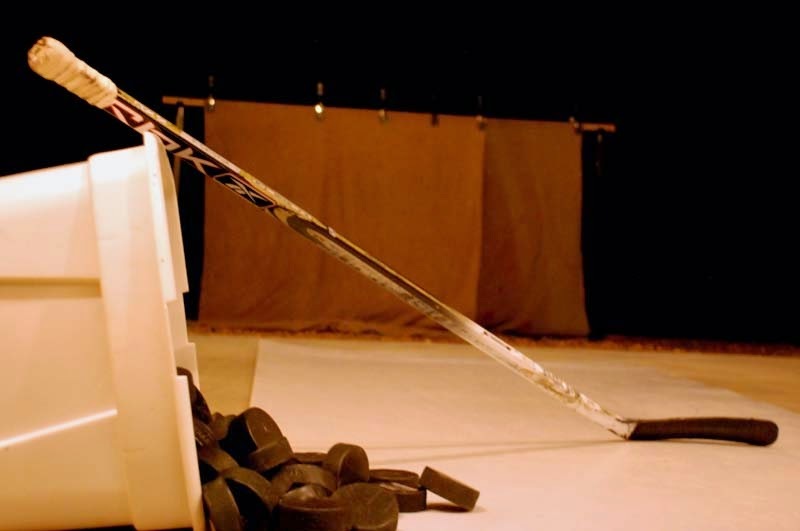 The main puzzle piece was some sort of slippery surface from which to shoot my pucks since I knew from experience that shooting off a surface like a concrete floor or a piece of plywood wouldn’t translate well to on-ice performance. I did considerable research into the available options and, after much deliberation, placed an online order for two shooting pads: a four-foot by 10-foot rollup pad valued at $160 and a thicker 30-inch by 60-inch pad priced at $100 (plus $50 to ship both items from Ontario). The order arrived on Aug. 19, only about a month before I expected the season to start. I quickly set up my shooting gallery according to a plan I’d refined in my mind after weeks of scheming. I knew from experience that dryland shooting while wearing shoes also doesn’t translate well to the ice so one of my priorities was to devise a system that would enable me to wear skates while shooting. I also wanted a system that was quick and easy to set up and take down, since I don’t have a spot where I can leave it assembled on an ongoing basis. The system I devised involves a couple of old blankets draped over a piece of wood suspended across two metal poles (racks used to hold up barbells for squats, etc.) I used heavy duty clamps bought at a hardware store to hold the blankets in place. I set up this rig on my driveway about 10 or 15 feet outside my garage door then set up both shooting pads side by side on the floor inside the garage. The idea was to shoot from inside the garage (where there’s a solid, level floor), through the open bay door into the draped blankets. The larger shooting pad was to be the shooting surface and the smaller, thicker one was for me to stand on (in skates, even though the pad isn’t made to withstand this kind of abuse). My first full shooting session was on Aug. 27. It took me about 17 minutes to shoot my 200 pucks. I was surprised to find that this seemingly inert exercise caused me to run out of breath — I had to rest numerous times. The repeated torque of the shooting action was also murder on the hand that holds the top of my stick. By the time I was half done my pile of pucks, I had a hole in the skin in the middle of my palm and another at the base of my pointing finger, revealing the tender, reddish sublayers. By the time I was down to 60 pucks remaining, I had two bloody spots in the palms of my gloves and I was in serious pain. But I foolishly persevered, determined to finish my 200-puck quota. After that, I took four days off from shooting, to give my hand a chance to heal a bit, then I got back at it. My hand was still quite sore but I relaxed my grip and spared it from further damage. This time it took me 13 minutes to shoot all the pucks. 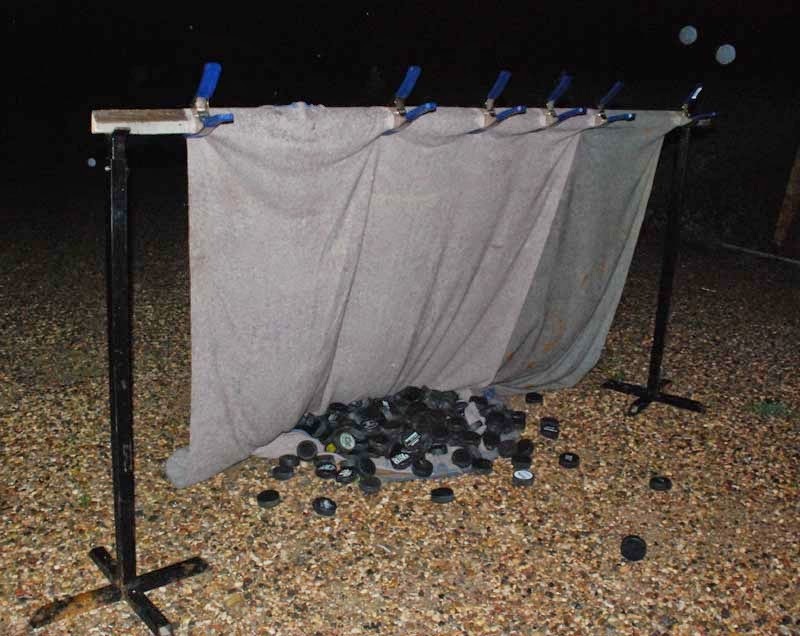 Blankets are effective at funneling pucks into a cohesive pile for easy retrieval. Since that day I’ve shot my 200 pucks every day, racking up 1,400 shots so far. I’m concentrating on the classic wrist shot because the league I play in doesn’t allow slap shots. I’m still trying to nail down the perfect technique as there are many subtle mechanical adjustments one can make and it’s hard to discern what effect each little change is having on the shot speed. This is where a radar gun would come in handy. There are outlets that sell them for sports like hockey and baseball but that’s $100 I refuse to spend. For now at least I must be content to judge by feel and by sight. The blankets work really well. Not only are they quick and easy to set up but they are also virtually silent. It’s usually about 11 p.m. when I’m doing my shots and the only sound is a faint thwack when each puck hits the blanket followed by a light clanging as the wooden pole rattles around in the metal rack. The blankets are also very effective at directing pucks into a cohesive pile. In fact, my blankets are long enough to lie on the ground, so most of the pucks fall on top of them, and most of the pucks can be retrieved at once by gathering up the bottom of the blankets and dumping the pucks into their storage container. Pickup is done in about three minutes. I feel that I’ve improved quite a bit within the first two weeks of practice. I’m getting my shots away quickly and it looks like they have a fair amount of zip on them. But I suspect if I measured the actual speed it would be rather unimpressive and if you pitted me against a good shooter, I would look very wimpy in comparison. In hockey, really hard shooters are said to have a howitzer. Throughout my hockey career, I’ve been in possession of nothing more powerful than a homemade slingshot, but the progress I’ve made over the last couple weeks gives me a glimmer of hope that, maybe someday, I’ll be the proud owner of a genuine shootin’ iron of some calibre ... a dream come true for any self respecting hillbilly, I reckon. A participant of hockey or other sport who plays in a beer league, which is loosely defined as an adult recreational league. These can be organized leagues or a casual pick-up game. In theory, playing in a beer league is done for the pure enjoyment of the sport and the camaraderie that surrounds it, but it’s common for some players to get carried away and take it too seriously. A prominent feature of the beer league experience, in all its forms, is the post-game ritual of sitting around half-naked while swapping yarns and guzzling beer. Cory Hare is a writer, editor, a husband and a father of two young children. At the age of 44, he still refuses to accept that he’s just no damn good at hockey and he’s willing to do whatever it takes to transform himself into a good player ... as long as it doesn’t take too much effort or cost too much money.